A large and growing movement of Israeli dancers worldwide want to include more of the 'original' or 'old style' dances into their dance sessions. 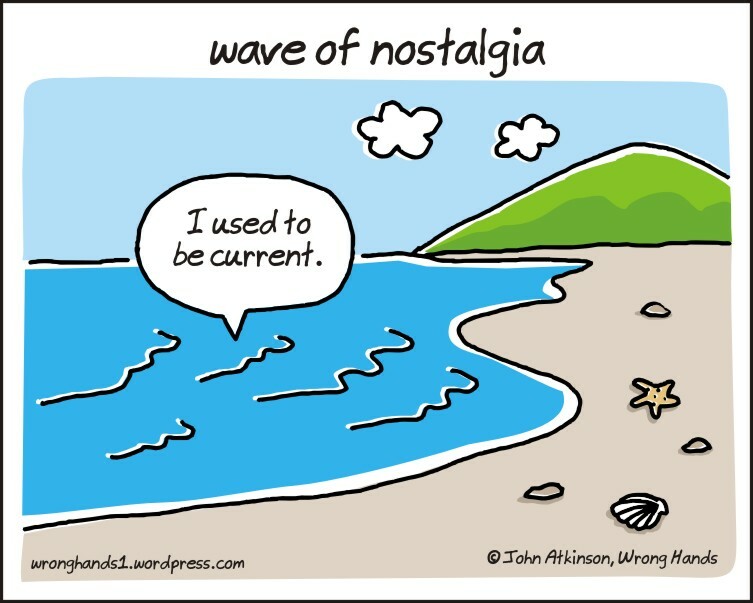 You can decide if you want to call them 'Nostalgia', or 'Vintage', 'Retro' or 'Second Generation'. The range of Nostalgia dances are generally thought of as created before 1990. 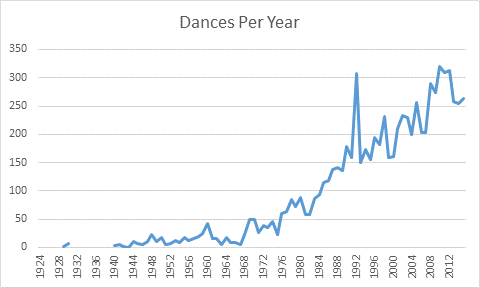 This page shows you the total amount of all Israeli dances created from 1924 to 2015. According to lore, the first Israeli dance created in the modern era was Hora Agadati in 1924. 1948, the year of Israel's independence, saw 23 new dances created. In the 1950's there were less than 25 dances created every year. 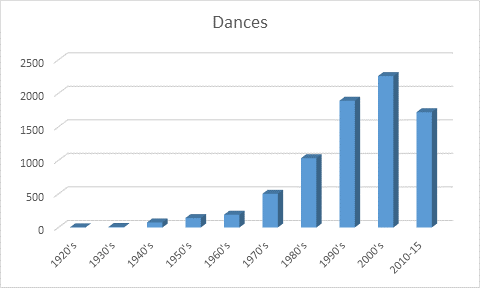 Note the increase of dances created every year below! So much for the stats. But now comes the enjoyable part, for you to browse through our list of Nostalgia dances and see which ones you may know, or have heard of. And, in some of them, read any comments or tidbits about the dance or the songs they derive from. Sometimes the numbers in different years may fluctuate, as a result of new research that arises, or as new dances are found or corrected. Please write to us at any time with corrections or comments. In addition, these lists include a small number of international dances that are frequently done in Israeli dance sessions both in Israel and around the world and are considered part of the repertoire. Nostalgia Dances is a joint project of Aura Levin Lipski and Gary Fox. This page concept and creation by Aura Levin Lipski. Date summaries and graphs on this page by Gary Fox. Most of the comments in the Nostalgia Masterlist researched were written or collated by Gary Fox. This would not be possible without the groundbreaking work of Jack Steel of the Israeli Dances.com Database. © Copyright 2019 Jewish World Life Online Network. All rights reserved. Jewish Australia Online is wholly owned by Sam Lipski Associates of Melbourne Australia. Reproduction of any section of this website, in whole or in part, in any form or medium without express written permission from Jewish Australia Online Network is prohibited.